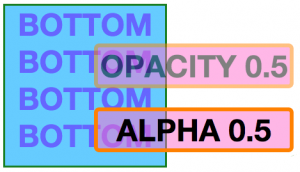 After all these years, I just found out about CSS alpha as a way of adjusting the opacity of the backgrounds of elements on a Web page. In the past, I’ve used the opacity setting to do the job. So, if you have, say, a div that’s overlaying another element, setting its opacity to, say, 0.7 will make the entire thing 30% transparent. Opacity, in other words, is inherited by all of an element’s children without the children having any way of contesting the will. But yesterday the opacity setting wasn’t working on an element for some reason. So I googled around and stumbled upon the alpha setting, which did what I wanted even better. 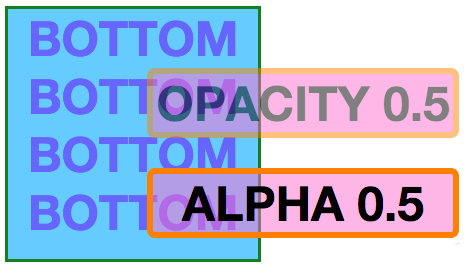 Alpha sets the opacity of the background of the element while leaving the text and border opaque. This is great if you’re putting a label with text over other elements. Here are two divs that are exactly the same in all their settings except one has its opacity set to 0.5 and the other has the alpha of its background color set to 0.5. Notice that the alpha setting has left the text and border un-alpha’ed. And here’s a site that will convert your hex colors into rgb colors. So, I’m hereby giving myself a giant D’oh slap n the hope that you won’t have to. You enter a search term. It returns 5-10 of the first results of a search on the Library’s catalog, and lays them out in a line of squares. You click on any of the squares and it gets another 5-10 items that are “like” the one you clicked on … but you get to choose one of five different ways items can be alike. At the strictest end, they are other items classified under the same first subject. At the loosest end, the browser takes the first real word of the title and does a simple keyword search on it, so clicking on Fifty Shades of Gray will fetch items that have the word “fifty” in their titles or metadata. It’s fragile, lousy code (see for yourself at Github), but that’s actually sort of the point. BoogyWoogy is a demo of the sort of thing even a hobbyist like me can write using the Harvard LibraryCloud API. LibraryCloud is an open library platform that makes library metadata available to developers. Although I’ve left the Harvard Library Innovation Lab that spawned this project, I’m still working on it through November as a small but talented and knowledgeable team of developers at the Lab and Harvard Library Technical Services are getting ready for a launch of a beta in a few months. I’ll tell you more about it as the time approaches. For example, we’re hoping to hold a hackathon in November. 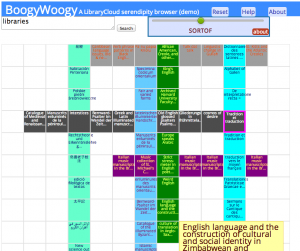 Anyway, feel free to give BoogyWoogy a try. And when it breaks, you have no one to blame but me. The future of libraries won’t be created by libraries. That’s a good thing. That future is too big and too integral to the infrastructure of knowledge for any one group to invent it. Still, that doesn’t mean that libraries can wait passively for this new future. Rather, we must create the conditions by which libraries will be pulled out of themselves and into everything else. A few days ago, when Apple pushed the latest from U2 into everyone’s iTunes library, you could hear the Internet pause as it suddenly realized that Apple is its parents’ age. Now in the ad-promotion succubus occupying the body of what used to be Time Magazine, you can see U2 desperate to do exactly the wrong thing: insisting that it wasn’t a gift at all. You can learn more about this in the hilariously titled cover article of Time: “The veteran rock band faces the future.” This a future in which tracks we don’t like are bundled with tracks we do (the return of the CD format) and people who share with their fans are ruining it for U2, boohoo. Or, as Bono recently said, “We were paid” for the Apple downloads, adding, “I don’t believe in free music. Music is a sacrament.” And as everyone knows, sacraments need to be purchased at a fair market value, the results of which Bono, as a deeply spiritual artist, secures in sacred off-shore accounts. You have recently received a copy of our latest album, Songs of Innocence, in your iTunes library. U2 understands you may be confused or even upset by this. So, let me clarify once and for all the most important point about this — if I may humbly say so — eternal masterpiece. It was not our intention to cause you stress or to wonder if you have the musical sensitivity to full grasp (if I may, humbly say) the greatness of our work. But most important, it is essential above all that you understand that it was not our intention to give you a gift. No freaking way. We understand your mistake. You are, after all, just fans, and you don’t play in the Jetstream world of global music. As I said to my dear friend Nelson Mandela (friend is too weak a word; I was his mentor) shortly before he passed, music is a sacrament, just like tickets to movies, especially ones with major stars working for scale, or like the bill at a restaurant where you and any two of the Clintons (Chelsea, you are a star! Give yourself that!) are plotting goodness. To tell you the truth, I’m disappointed in you. No, worse. I’m hurt. Personally hurt. How dare you think this was a gift! After all these years, is that all U2 is worth to you? Nothing? Our music has all the value of a CrackerJacks trinket or a lower-end Rolex in an awards show gift bag? Do you not understand that Apple paid us for every copy they distributed? We were paid for it, sheeple! Massive numbers of dollars were transferred into our bank accounts! More dollars than you could count, you whiny little “Ooh look at me I’m sharing” wankers! We’re U2 dammit! We don’t need you! You need us! MONEY IS LOVE! EXTRA-ORDINARY LOVE!!!!!! Meanwhile, as always, Amanda Palmer expresses the open-hearted truth about this issue. 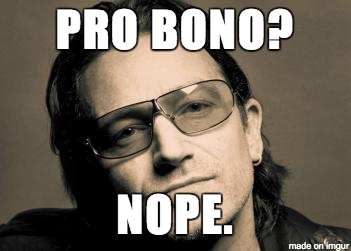 It almost makes me regret making fun of Bono. Almost. Yet another brilliant post by Ethan. (I think I’m going to turn that into a keyboard macro. I’ll just have to type ^EthanTalk and that opening sentence will get filled in.) It’s a reflection on the reaction to his piece in the Atlantic about advertising as the Net’s original sin, and the focus on his “confession” that he wrote the code for the Net’s first popup ad. We had a failure of imagination. And the millions of smart young programmers and businesspeople spending their lives trying to get us to click on ads are also failing to imagine something better. We’re all starting from the same assumptions: everything on the internet is free, we pay with our attention, and our attention is worth more if advertisers know more about who we are and what we do, we start business with money from venture capitalists who need businesses to grow explosively if they’re going to make money. He recommends that we question our assumptions so we can come up with more imaginative solutions. I agree with Ethan’s statement of the problem, and admire his ability to put it forward with such urgency. But it seems to me that the problem is less a failure of imagination than the success of the power of incumbent systems.Is access to the Net in exactly the wrong hands because of the failure of someone to imagine a better way, or because of the structural corruption of capitalism? Similarly, why are we failing to slow global warming in an appreciable way? (Remember when Pres. Reagan took down the solar panels Pres. Carter had installed on the White House?) Why are elections still disproportionately determined by the wealthy? In each of these cases, imagination has lost to entrenched systems. We had innovative ways of accessing the Net, we’ve had many great ideas for slowing global warming, we have had highly imaginative attempts to get big money out of politics, and they all failed to one degree or another. Thuggish systems steal great ideas’ lunch money. Over and over and over. Ethan of course recognizes this. 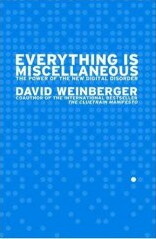 But he ties these failures to failures of the imagination when one could just as well conclude that imagination is no match for corrupt systems — especially since we’ve now gone through a period when imagination was unleashed with a force never before seen, and yet the fundamental systems haven’t budged. This seems to be Larry Lessig’s conclusion, since he moved from CreativeCommons — an imaginative, disruptive approach — to a super-Pac that plays on the existing field, but plays for the Good Guys ‘n’ Gals. Likewise, one could suggest that the solution — if there is one — is not more imagination, but more organizing. More imagination will only work if the medium still is pliable. Experience suggests it never was as pliable as some of us thought. But the truth is that I really don’t know. I don’t fully believe the depressing “bad thugs beat good ideas” line I’ve just adumbrated. I certainly agree that it’s turning out to be much harder to overturn the old systems than I’d thought twenty or even five years ago. But I also think that we’ve come much further than we often realize. I take it as part of my job to remind people of that, which is why I am almost always on the chirpier side of these issues. And I certainly think that good ideas can be insanely disruptive, starting with the Net and the Web, and including Skype, eBay, Open Source, maps and GPS, etc. So, while I don’t want to pin the failure of the Net on our failure of imagination, I also still have hope that bold acts of imagination can make progress, that our ability to iterate at scale can create social formations that are new in the world, and that this may be a multi-generational fight. I therefore come out of Ethan’s post with questions: (1) What about this age made it possible even to think that imagination could disrupt our most entrenched systems? (2) What makes some ideas effectively disruptive, and why do other equally imaginative good ideas fail? And what about unimaginative ideas that make a real difference? The Birmingham bus boycott was not particularly imaginative, but it sure packed a wallop. (3) What can we do to make it easier for great acts of imagination to become real? For me, #1 has to do with the Internet. (Color me technodeterminist.) I don’t have anything worthwhile to say about #2. And I still have hope that the answer to #3 has something to do with the ability of billions of people to make common cause— and, more powerfully, to iterate together — over the Net. Obviously #3 also needs regulatory reform to make sure the Internet remains at least a partially open ecosystem. So, I find myself in deep sympathy with the context of what Ethan describes so well and so urgently. But I don’t find the rhetoric of imagination convincing. He says that we keep thinking that if we could just elect the right president, everything would be fine. We have a cult of presidents. But the problem is in the Constitution. “The machine that elects the president is a machine for disappointment.” You get elected by announcing ideals, not by saying that you’re going to have to engage in a series of ghastly compromises. “So much is due to the Framers, who were at the cutting edge in their day.” He points out that when the Constitution was being framed, framing it was illegal, for we already had the Articles of Confederation that said any changes required a unanimous vote by the thirteen colonies. “We should try to be like them [the Founders] and think boldly about our system,” rather than merely worshipping them. HH reads some selections from the Framers. First, a letter from G. Washington stating that the Constitution is imperfect but was the best that could be agreed upon; he put his hopes in the process of amendment. HH says we should be wary of the Federalist Papers. “They were op-eds written to sell a particular compromise.” They’re high-minded and don’t reflect what really happened. E.g., Madison and Hamilton hated each state getting the same number of senators. Hamilton wrote that letting a minority rule would lead to gridlock, compromise, and near anarchy…our current situation, says HH. In 1968, we almost got a Constitutional amendment to get rid of the Electoral College, but it was fillibustered by Sam Ervin. The National Popular Vote Interstate Compact will change this. (The idea for making this into an interstate compact came from a Stanford computer science prof., John Koza.) The Constitution instructs the states to come up with electors who then vote for the state in the presidential election. The states that support the NPVIC say their electors will vote for whoever wins the national popular vote. It goes into effect when the compacting states add up to 270 votes, which would guarantee that the election goes to the winner of the popular vote. This does not require changing the Constitution. And it’s 60% of the way to happening: 11 states + DC. (Mass. has adopted it.) All eleven states are blue states, but there’s Republican support, although their platform came out against it. New Gingrich is a recent convert. Fred Thompson. Many others. This reform would be an enormous move toward civic health, HH says. No more battleground states. No more spectator states. It would affect how campaign money is spent, although not how it is raised; it would have to be spent all around the country. It would boost turnout by increasing turnout in the spectator states. Q: How does this compact ensure the electors keep their promise? A: It’d be a state law. And it says states cannot withdraw from it during the campaign period. HH says that NPVIC is a mom-and-pop outfit. He’s hopeful because the state electors have a reason to vote for this, because right now “no one returns their calls.” The focus now is on getting a first red state. If you’re interested in donating money, HH suggests you give to FairVote. Q: How might this change the geographic location of campaigns? Will this lead to an urban/rural divide? Will Dems campaign more in the North and Reps in the South, thus polarizing us more? A: That ignores that only 10-15% lives in big cities. [The Census figures are somewhat hard to parse on this. source.] And it would be cost-effective to buy ads in the poorer and less dense parts of the country. “Every single vote is equally worth going after” in this scenario. Q: Would this shift parties to nominating people more in the mainstream? And what about third parties? A: The two-party system is essential to a winner-take-all system likes ours. (I’m also in favor of the instant runoff voting reform.) NPVIC gives its votes to the winner of a plurality. Q: Why isn’t this being talked about more? A: It’s weirdly hard to grasp. And it can be demagogued against: “So you think you’re smarter than the Framers? ?” The media will pay more attention once the count gets close to 270. Q: Even in states that have passed it, nobody knows about it. It looks like a move among political elites. A: You’re right that nobody knows about it. But people of all parties do favor electing the president by popular vote. The outcome reflects the wishes of the majority of Americans. But, yes, NPVIC is a Rube Goldberg contraption. Q: Have the Tea Party stars — Limbaugh, Beck, etc. — staked out positions? A: It may have come up for a few minutes, but it hasn’t become a fixture. Q: The question will be which party is losing more Electoral College votes. A: Because of 2000, the sense is the Democrats throw away more. In 2004 if 30K votes had shifted in Ohio, Kerry would have won the election while losing the popular vote. [There is a rapid debate about which party throws away more votes. Couldn’t capture it. Q: Has there been a non-partisan anaysis of this proposal? And why doesn’t the NPVIC campaign have more educational outreach? A: There has not been much non-partisan analysis, although there’s some. And many governors are directly elected, so I don’t see how much more we need to learn about this. Plus, when you have a quiet, calm conversation with state legislators, they often tend to like it. Q: Do you worry that linking this movement to others might break apart the coalition? Q: How is political coverage these days? A: Political coverage tends to ignore the ways in which the hydraulics limit and affect politicians. And since by definition the US Constitution is perfect (we assume), when things go wrong, it must be because of bad people. It’s still basically a morality tale about Good and Bad. You still hear “If only Obama were more like LBJ: get in their and get stuff done” and it drives me nuts. LBJ did that, but he had a huge majority in the House and Senate. When he lost that, he got nothing done. Or, Tom Friedman pushing for a centrist third party, ignoring the fact that we already a centrist party: The Democrats — ignoring that this would make the right the governing party. Q: Any major figures backing it? A: I expect Obama and Clinton would be for it, but saying so wouldn’t help. Tying this up with particular personalities can be risky. A: It wouldn’t affect that directly. They’d want a candidate who can do well in the entire country, not just in the swing states. It would likely cause people to look at the nominating system. It looks so far like Mint (a Linux distribution) is working on my 2006 MacBook — one of them old white plastic models. I wiped out the entire disk, so there’s no Mac left except what Apple burned into the hardware. As far as I can tell, everything is working, from audio, to trackpad, to wifi. Here’s how I did it: I tried everything. Unfortunately, I can’t quite remember what worked, except that I used Mac Linux USB Loader to create the USB stick from which I booted the Mac into Linux. I also used Iso 2 USB EFI Booter to get the Mac to boot into Linux, although I’m not sure I actually needed that since I wasn’t going for a dual boot. After you get it working, you might want to check this post about how to add some finishing touches. 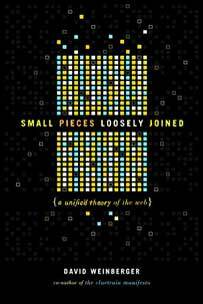 Thank you, kind Internet strangers! On Christopher Lydon‘s excellent Radio Open Source program, I heard him interview the historian Rick Perlstein about his book The Invisible Bridge. Kissinger tells it in his memoir. When Kissinger was in the White House, he had to call Reagan, whom he despised. This was during the 1973 Yom Kippur War. In the course of the conversation he said that the Egyptians were claiming to be shooting down an absurd number of Israeli planes. Everyone knew they were lying, but the White House wasn’t sure how to counter the propaganda. Yes, Ronald Reagan had a brilliant idea. Tomorrow: You won’t believe what Sarah Palin told the Dalai Lama that changed his life forever. The Shorenstein Center is part of the Harvard Kennedy School of Government. The rest of the Center’s name — “On Media, Politics, and Public Policy” — tells more about its focus. Generally, its fellows are journalists or other media folk who are taking a semester to work on some topic in a community of colleagues. To my surprise, I’m going to spend the spring there. I’m thrilled. The Shorenstein Center is an amazing place. It is a residential program so that a community will develop, so I expect to learn a tremendous amount and in general to be over-stimulated. The topic I’ll be working on has to do with the effect of open data platforms on journalism. There are a few angles to this, but I’m particularly interested in ways open platforms may be shaping our expectations for how news should be made accessible and delivered. But I’ll tell you more about this once I understand more. I’ll have some other news about a part-time teaching engagement in this Spring, but I think I’d better make sure it’s ok with the school to say so. I also probably should point out that as of last week I left the Harvard Library Innovation Lab. I’ll get around to explaining that eventually. This is an “incredibly exciting time,” Robin begins. The pace has been fast and is only getting faster. E.g., David Plouffe says that Obama’s digital infrastructure from 2008 didn’t apply in 2012, and the 2012 infrastructure won’t apply in 2016. In this social media world, “each of us is a news reporter.” Half of people on social networks repost news videos, and one in ten post news videos they’ve recorded themselves. David Carr: “If the Vietnam War brought war into our living rooms,” now “it’s at our fingertips.” But we see the world through narrow straws. We’re not going back from that, but we need to get better at curating them and making sure they’re accurate and contextualized. So, ABC is tapping into social media, but is wary of those who have their own aims. E.g., Whitehouse.gov does reports that look like news reports but are not. The photos the White House hands out never show a yawning, exhausted, or weeping president. “I joke with the press secretary that we’re one step away from North Korea.” We’re heading toward each candidate having their own network, in effect, a closed circle. Q: You’ve describe the fragmentation in the supply of news. But how about the demand? “Are you getting a sense of your audience?” What circulates? What sticks? What sets the agenda? etc. Q: The future of health reporting? I’m disappointed with what I see. E.g., there’s little regard to the optics of how we’re treating Ebola, particular with regard to the physicians getting treated back in the US. A: Dr. Richard Besser, who ran the CDC, is at ABC and has reported from Africa. But it’s hit or miss. We did cover the white doctors getting the serum, but it’s hard to find in the firehose. Q: How do you balance quality news with short attention spans? A: For the Sunday shows we’ve tried to maintain a balance. Q: Does ABC try to maintain its own pace, or go with the new pace? If the latter, how do you maintain quality? A: We used to make a ton of money producing the news and could afford to go anywhere. Now we have the same number of hours of news on TV, but the audiences are shrinking and we’re trying to grow. It’s not as deep. It’s broader. We will want to find you…but you have to be willing to be found. Q: How do you think about the segmentation of your news audience? And what are the differences in what you provide them? A: We know which of our shows skew older (Sunday shows), or more female (Good Morning America), etc. We don’t want to leave any segment behind. We want our White House reporter to go into depth, but he also has to tweet all day, does a Yahoo show, does radio, accompanies Nancy Pelosi on a fast-walk, etc. A: When we sit in our morning editorial mornings we never say that we will do a story because the 18-24 year olds are interested. The need to know, what we think is important, drives decisions. We used to be programming for “people like us” who want the news. Then we started getting thousands of “nutjob” emails. [I’m doing a bad job paraphrasing here. Sorry] Sam Donaldson was shocked. “This digital age has made us much more aware of all those different audiences.” We’re in more contact with our audience now. E.g., when the media were accused of pulling their punches in the run-up to the Iraq War, we’d get pushback saying we’re anti-American. Before, we didn’t get these waves. Q: A fast-walk with Nancy Pelosi, really? A: [laughs] It got a lot of hits. Q: Can you elaborate on your audience polling? And do people not watch negative stories? A: We have a mix of products. Q: What is the number one barrier to investigative journalism? How have new media changed that balance? A: There are investigative reporting non-profits springing up all the time. There’s an appetite from the user for it. All of the major news orgs still have units doing it. But what is the business model? How much money do you apportion to each vertical in your news division? It’s driven by the appetite for it, how much money you have, what you’re taking it away from. Investigative is a growth industry. Q: I was a spokesperson for Healthcare.gov and was interested in your comments about this Administration being more closed to the media. A: They are more closed than prior admins. There’s always a message. When the President went out the other day to talk, no other admin members were allowed to talk with the media. I think it’s a response to how many inquiries are coming and how out of control info is, and how hard it is to respond to inaccuracies that pop up. The Obama administration has clamped down a little more because of that. Q: You can think of Vice in Liberia as an example of boutique reporting: they do that one story. But ABC News has to cover everything. Do you see a viable future for us? A: As we go further down this path and it becomes more overwhelming, there are some brands that stand for something. Curation is what we do well. Cyclically, people will go back to these brands. Q: In the last couple of years, there’s a trend away from narrative to Gestalt. They were called news stories because they had a plot. Recent news events like Ferguson or Gaza were more like just random things. Very little story. A: Twitter is a tool, a platform. It’s not really driving stories. Maybe it’s the nature of the stories. It’ll be interesting to see how social media are used by the candidates in the 2016 campaign. A: Traditionally the evening news anchor has been the chief anchor for the network. George Stephanopoulos anchors GMA, which makes most of the money. So no one wanted to move him to the evening news. And the evening news has become a little less relevant to our network. There’s been a diminishment in the stature of the evening news anchor. And it plays to GS’s strengths.